This Friday released latest historical Tamil movie Rudhramadevi has started very well at box office & collected good total in weekend from Tamil Nadu screens. A week ago, it was released in Telugu, Hindi, Kannada & Malayalam languages worldwide but to maintain proper gap with recent Tamil movie Puli, makers had postponed its Tamil version’s release for a week. It had taken terrific start in Andhra Pradesh & Telangana last week with its Telugu version & minted good amount at box office. In the same way, it has started in Tamil Nadu with its Tamil version & grossed near about 11.05 crores* from Chennai screens in weekend. Now the movie has been entered in weekdays & as expected witnessed the drop of more than 50% on its fourth day. 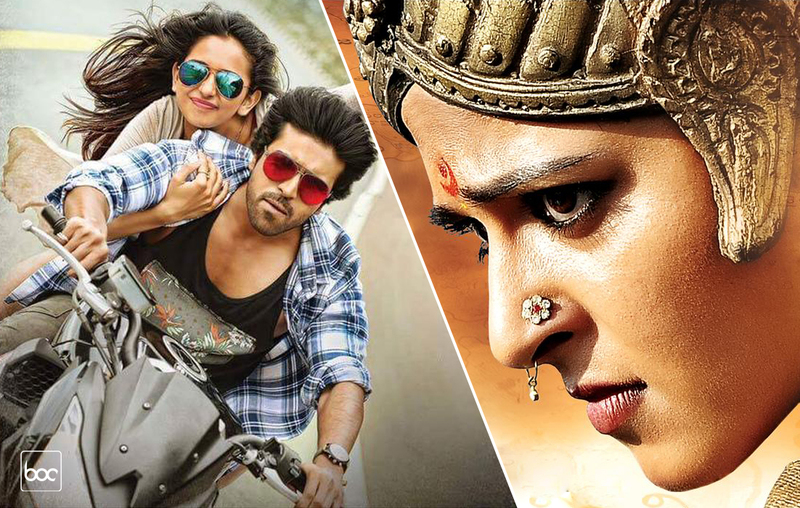 On Monday, Rudhramadevi (Tamil) recorded normal occupancy & minted the amount of 1.60 crore* from Chennai only. Bruce Lee The Fighter, the action romantic Telugu movie of superstar Ram Charan & Rakul Preet Singh that has released this Friday worldwide on 2000 screens. The movie has received mixed reviews from critics but audience find it very entertaining, as a result of which it has reported excellent business figure of 28.65 crores through out the weekend in AP/T states. Now the movie has been entered in weekdays & as expected has started facing drops in its business. On Monday, Bruce Lee The Fighter reported below average occupancy & done the business of only 2.60 crores as its fourth day collection from its dominated regions- Andhra Pradesh & Telangana.